The U.S. Customs and Border Protection Agency's Office of Information Technology headquarters will consolidate its operations to an office park near the Silver Line's future Ashburn Metro stop. WASHINGTON — The U.S. Customs and Border Protection Agency’s Office of Information Technology headquarters will consolidate its operations to an office park near the Silver Line’s future Ashburn Metro stop, bringing 3,700 jobs to Loudoun County, Virginia. 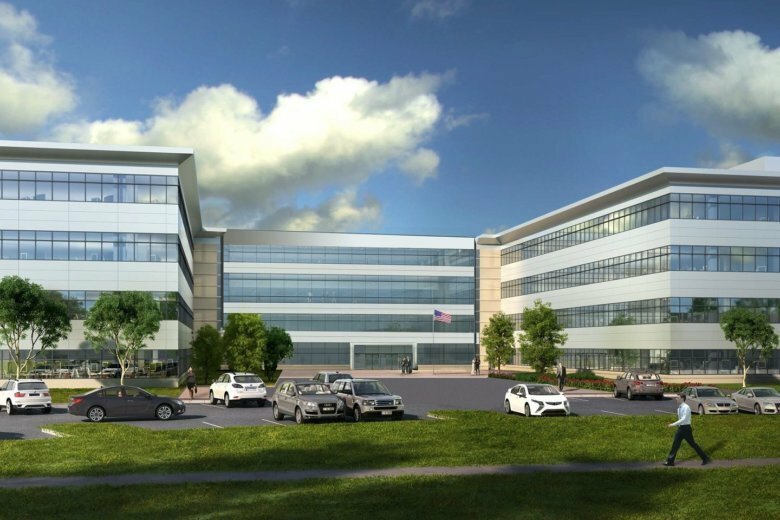 The OIT has a potential 15-year lease for 445,000 square feet of Class-A office space at American Square at Quantum Park, at 22001 Loudoun County Parkway. It will make the move in 2020, when the Silver Line becomes operational in Loudoun County. The Loudoun County Board of Supervisors facilitated the relocation through an agreement with Quantum Park owner American Real Estate Partners, which will make $179 million in improvements to the facility, including build out of the existing space and a new wing. The agreement with GSA is pending final approval by the County Board of Supervisors. GSA declined to confirm the pending lease. “While the U.S. General Service Administration (GSA) is engaged in a procurement for this office’s space, GSA has yet to award this contract. GSA will provide an update when a lease award is finalized,” a GSA spokesman told WTOP in an emailed statement. As part of the agreement, Loudoun County Transit will provide bus service to the campus, and provide lease assistance to GSA at terms consistent with other GSA agreements in the area. Loudoun County is already making numerous infrastructure improvements in the area in preparation for the Silver Line. Custom and Border Protection’s OIT headquarters includes engineers, technicians and scientists, as well as a large contingent of support personnel. “This win confirms that Loudoun’s investments in transportation and infrastructure are paying off in a big way,” said Broad Run District supervisor Ron Meyer. Quantum Park is the former headquarters of MCI/WorldCom. Its tenants already include Verizon Business. The 126-acre campus contains 1.9 million square feet of office space in 12 buildings. “This site is a great location for Customs and Border Protection because of its proximity to the new Ashburn Metro station and several nearby hubs of mixed-use amenities,” said Buddy Rizer, executive director of Loudoun Economic Development. “Bringing CBP into our community helps underscore that Loudoun is continuing to develop into one of the region’s major employment centers,” Rizer said.